The moral decadence that has become characteristic of Nigerian tertiary institutions today is simply a nucleus of the massive decay of values in the larger society. The decay of morals is therefore a by-product of a bigger societal decay. The genesis of decay by inference is the failure of one or more or all of the stakeholders. It is unfortunate that the failure of the Nigeria educational system today is as a result of the failure of all the stakeholders. i. To serve as a bridge between the students and the management. ii. To initiate activities to recognise student’s achievements. iii. To make life easier for students on campus. iv. To implement a comprehensive students programme. v. To develop student activities to benefit youth and national development. vi. To be an advocate for good governance. Student leadership in Nigeria became prominent in the late 1970s. In the 1980s it became monetised and politicised when the government began to look towards student leaders to solve major problems confronting their interests in the educational system. This ushered in the decay characterised by victimisations, lecturers were victimised and lecturers victimised students. Lecturers and students began to lose respect for each other; due to the incessant strikes by the lecturers, students gave less reverence and due to the lack of intellectual prowess on the part of the students, lecturers lost their respect for students too. Back in the days, students could challenge their lecturers in intellectual debates, lecturers and students learnt from each other. The lack of mutual respect led lecturers to begin to make “special demands” on students before they could pass to the next level while the students on their part began to carry guns, this partly birthed cultism. Cultism was also as a result of the tilting and diabolism of the purpose of some societies established on campus; fraternities were meant to be similar to those existent in US schools. Another factor is that students who enrolled in universities then were quite mature in age but today, students are really young, many complete their bachelors degree by age 19 or 20, the age most students gained admission in the past. Furthermore, parental neglect has changed the value system, back then, mothers were sit-home moms but today, we have 9am to 5pm moms who have taken up white collar jobs, there is little or no time to pass the necessary values to their wards. Also, parents today pay the way of their children through school, they bribe to have their children pass WAEC, NECO, JAMB etc, parents no longer reward success nor punish failure. Lastly, the university management became less efficient and less dedicated to their work, insensitivity to student’s welfare became a norm, the lack of government support was mainly responsible for the failure of the university management. From this, the part of the failure of the four stakeholders is clear. i. Bad Governance: When a bad government gets into power, three things would surely go wrong with the educational system. First, the standard of education would fall. Secondly, campus vices would be on the rise. Thirdly, pre-existing problems would remain the same. The crime of advance fee fraud and obtaining by false pretense became the new international label of Nigeria when an insensitive government came into power and refused to pay bright Nigerian students sent to the USA their allowances; the students were helpless and were forced to channel their intelligence to the wrong things. The USA had never witnessed such kind of advance fraud in their history, this negative phenomenon became popularly known as 419 and Yahoo-Yahoo. It is unfortunate that today, student leadership have become so politicised such that many universities have pledged themselves along political lines. Bad governments emanating have become extremely intolerant to protests unlike in the 1970s. During the popular ‘Ali-must-go’ protest, a significant feature was the fact that students never destroyed the school’s property and the policemen never invaded the campus, that unfortunately is not the case today, students vandalise school properties and the police intimidate students during protests. For the records, the ‘Ali-must-go’ protest began in 1978 when Colonel Ahmadu Ali, the then Minister of Education under the Olusegun Obasanjo regime increased the cost of feeding, the then National Union of Nigerian Students (NUNS) led by Segun Okeowo, a 200 level student of the University of Lagos went into talks with the government but the negotiations were unfruitful, this led to wide protests across the country. ii. Money: The monetisation of student leadership by politicians is one of the greatest disservice politicians have done to the country. Students have become a tool in the hands of politicians to cause chaos especially during elections. Student Unions also loot their treasury just like the politicians they pledge their allegiance to. Today, we find student union governments offering awards to corrupt leaders in exchange for money. iii. Bad Followership: Worse than bad leadership is bad followership. It is not true that an army of sheeps led by a lion would defeat an army of lions led by a sheep. If a person is a contributor to a system whether for good or bad, it does not exclude the person as being part of the system, either good or bad. This is why the election of credible leaders into power is very crucial in the process of nation building. The unfortunate situation in the country today is the fact that a person who summons the courage to criticise the government ends up being victimised. iv. Compromising Student Leadership: Late Chief Segun Okeowo, the former leader of the then National Union of Nigerian Students (NUNS) and the forefront leader of the ‘Ali-must-go’ protest refused to compromise, collect bribes or be intimidated to call off the strike. He was expelled from university as a result and could not complete his university education until after 5 years. He was witch-hunted but he sacrificed his personal dreams for the cause he believed in. The reverse is the case today, many student leaders are easily bought-off at the expense of the genuine agitations of the students they represent. v. Personal Ambitions: Many student leaders aspire to get involved in public office in the future, this personal ambition drives them to familiarise themselves with already established politicians. The submission of the student’s interest to pursue personal interest is a major challenge with student leaders. 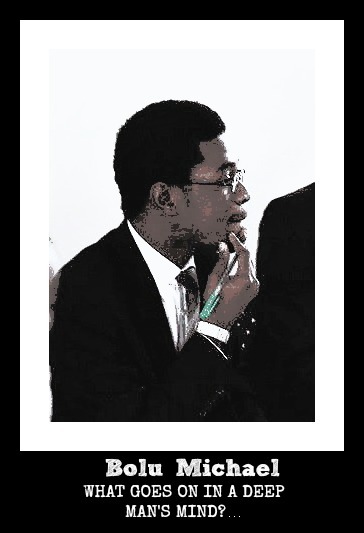 A student leader does not have to pursue personal ambitions to be of public relevance, the likes of Tai Solarin, Prof. Wole Soyinka, Late Chief Gani Fawehinmi, Late Chief Segun Adesina and Late Chief Segun Okeowo are typical examples. Integrity is what it takes to be a leader, there is no better way of showing integrity as a student leader than to fully represent the interest one was elected for. vi. Non-Uniform Youth/Student Leadership Structure: One major contributor to the success of the ‘Ali-must-go’ protest was the fact that a singular body (NUNS) represented the students. Today, numerous student/youth platforms are in existence, this has given rise to conflicts. The government must be made clear as to the body that really represents the students. This would require student/youth-led platforms to unify. Just as the Nigerian Labour Congress represents Nigerian workers and can successfully pursue their interests with the government, Nigerian students must establish a similar platform to regain relevance. vii. External and Internal Conflicts: In the 1970s, universities and polytechnics cooperate in pursuing common goals but today, universities oppose each other and polytechnics are viewed as inferior to the universities. Also, inflamed politics internally does not give room for the growth of student leadership in the country. viii. Lack of Management Support: No Student Union body can really function without the support of the university management. A cordial relationship and mutual understanding must exist in order for the student leadership to pursue their programmes. Most of the time, the management prefer a student leadership they can easily control and this is very unfortunate. A strong student leadership is a reflection of a strong management, if the management supports student-led programmes, there will be little or no agitations. The management must at all time express confidence in the capacity of the student leaders to lead the students yet providing guidance. An obvious solution would be to do the opposite of the problems. i. A uniform system of student leadership should be formed. ii. Student leaders should develop the culture of grooming other leaders from within. This is the best way of spearheading change. It allows for good traditions to be maintained or improved upon. iii. The government should give a statutory allocation to student union governments of universities through the ministry of education; this is in addition to the student union dues. The funds should be used to facilitate student-led programme crafted by the ministry of education. The state ministry of education would supervise the use of the funds. Student Union Governments would have enough funds to implement programmes and this will reduce corruption and manipulation by politicians. iv. The Independent National Electoral Commission (INEC) should be involved as a supervisory/advisory body in the conduct of student union elections. This would give credence to the outcome of the polls and because it is regular, it would sharpen the skills of INEC officials ahead of the general elections which take place every 4 years. v. The government should be incentive driven. The government should develop new ways of rewarding student’s success. Bursaries, fellowship programmes, exchange programmes, grants/scholarships and student loans are some of the initiatives the government should lead. vi. Academic excellence should be made a crucial factor for eligibility for student leadership. Persons of excellence should be encouraged to take up leadership positions. It will also encourage new students who aspire to be student leaders in future to put big effort into their academics.